The Bushwacker OE style fender flares are constructed of a UV protected ABS material that comes ready for install. These flares offer additional tire coverage and protection without sacrificing the great looks of your truck. 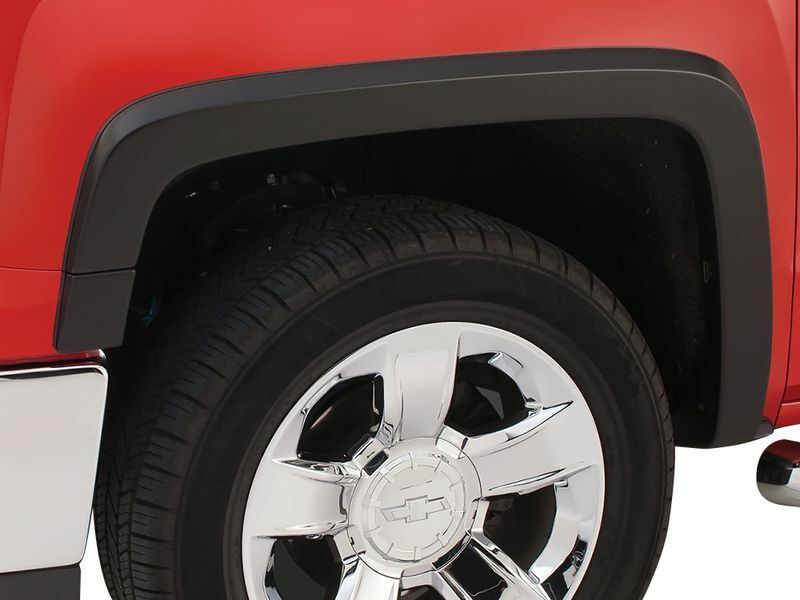 The Bushwacker OE Style Fender Flares come in a satin black finish and can be painted to match your truck. Bushwacker OE style fender flares are very easy to install. All you need are a few basic tools and most times there is no drilling required. Bushwacker warrants this product against any manufacturing defects for the lifetime of the product. These fender flares are also made in the USA so you can rest easy knowing the quality is second to none. Your new fender flares can be installed right at home in your own garage. No special tools are required to get the best look and fit. The installation instructions will be clear cut and easy to read & follow along. For additional information or if you have any questions, please call us toll free at 1-877-216-5446 or 701-253-5906.